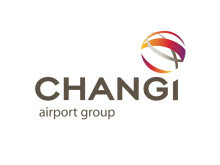 SINGAPORE, 4 August 2018 – Giving space and an avenue for expression to Persons with Disabilities – that’s the aim of the Changi Inspires Art Fair by Changi Airport Group (CAG). This new initiative hopes to raise awareness of the talents and gifts of outstanding artists from five organisations - Cerebral Palsy Alliance Singapore, Metta Welfare Association, Pathlight School, TOUCH Community Services and Very Special Arts Singapore. Held from 3 to 12 August at Terminal 3’s Departure Hall, the art fair exhibits about 30 art pieces including batik art, watercolour paintings and photographs with special features of familiar Singapore icons. The first-of-its-kind exhibition by CAG also includes art works of the Changi Tower, Terminal 4 Heritage Zone and even the airport’s very own bougainvillea species. 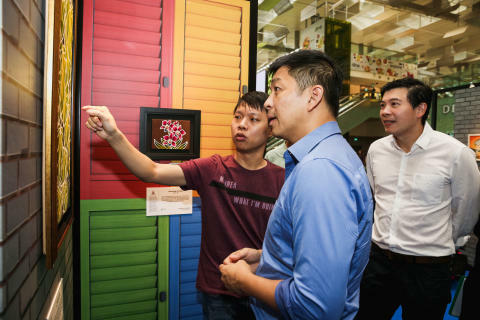 Added Tan Chuan-Jin, Speaker of Parliament, “This art fair encourages us to look at people differently. Through the art displays and write ups, we get to know the artists as people who are so much more than just their disabilities. They too have aspirations, dreams and talents and seek to live a fulfilling life. We should embrace inclusivity and caring in our thoughts and action towards all in our society. All art works exhibited at the art fair are available for purchase. Besides the art fair, the organisations are also retailing handmade items produced by their artists at a Handicraft Fair held between 3 and 5 August. To show support to Persons with Disabilities and the pursuit of their artistic dreams, members of the public can pen down words of kindness and encouragement for the artists on a SG Cares paper heart which will be featured on a colourful 3D heart-shaped structure.